Around 10% of approaching traffic turns left and around 45% of this number can be easily pointed out as the reason for accidents happening at intersections. Posting No Left Turn signs at intersections where turning left is not allowed can help reduce this number. It can also help improve the flow of traffic since approaching traffic need not be wary of left turning vehicles. 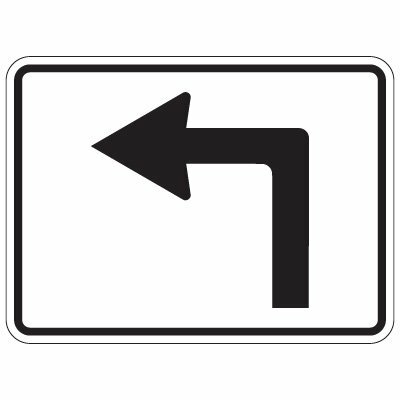 Choose from a wide variety of No Left Turn signs that include post mounted and traffic cone mounted variants. We have variants that show the No Left Turn graphic only and signs that carry wordings only. Restrict left turns with the help of No Left Turn signs and help improve how traffic flow within your facility. Seton has a number of signs that can help you keep vehicles on the right lane. Have motorists follow your traffic rules by posting these signs wherever these are needed. Having these signs installed in intersections can also help reduce the possibility of accidents brought about by left-turning vehicles as well as keep traffic flowing smoothly. If the roads and intersections in and around your place of business present you with traffic flow challenges that can be solved by removing any left-turning lanes, you can do this with the use of No Left Turn signs. These signs come in a variety of sizes and designs that can suit your varying needs. Choose from our selection of Parking Lot signs and Traffic Signs for your specific requirements. 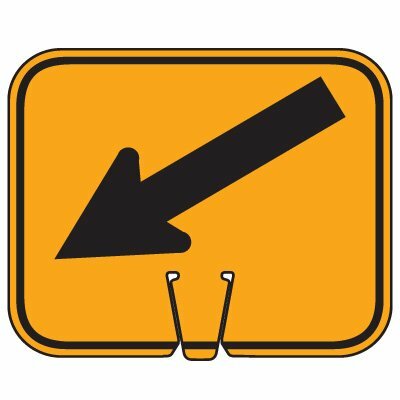 For temporary restriction of left turning vehicles, you can opt for traffic cone signs that carry the No Left Turn symbol on it.